Leads all strategic alliance initiatives and develops other sales channels, works with team to execute the Business Plan. Background includes a number of start-up and turnaround companies including CompUSA, Electrosource, ElectroStorm, and AMX. Bill Griffin is an exceptionally motivated business executive with 42 years of successful experience in business equipment, computer, telecommunications, energy, electronic control devices, and other service industries, delivering solutions to corporate, government, and education clients directly or through independent channel partners. He has demonstrated bottom line success for retail, value added reseller and manufacturing companies including startup, rapid growth and mature organizations. Bill was Regional Vice President of AMX Corporation for 11 years, held roles as CEO, President and Executive Vice President at ElectroSource over a 7 year period, and was Vice President, Government Division and Officer of the Company for CompUSA, a multi-billion computer retailer, from 1989 to 1996. 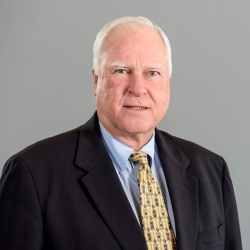 Bill works with the Executive Management of Koolbridge Solar in business development, technical support, financial analysis, business operations, sales and marketing, sales management and operations, team building, and executive briefings.